Tikal is one of the country's most popular tourist sites. It is the location of about 3,000 Mayan buildings that date back to 600 B.C. to A.D. 900. Lake Atitlan is the deepest lake in Central America, with a maximum depth of approximately 340 meters. 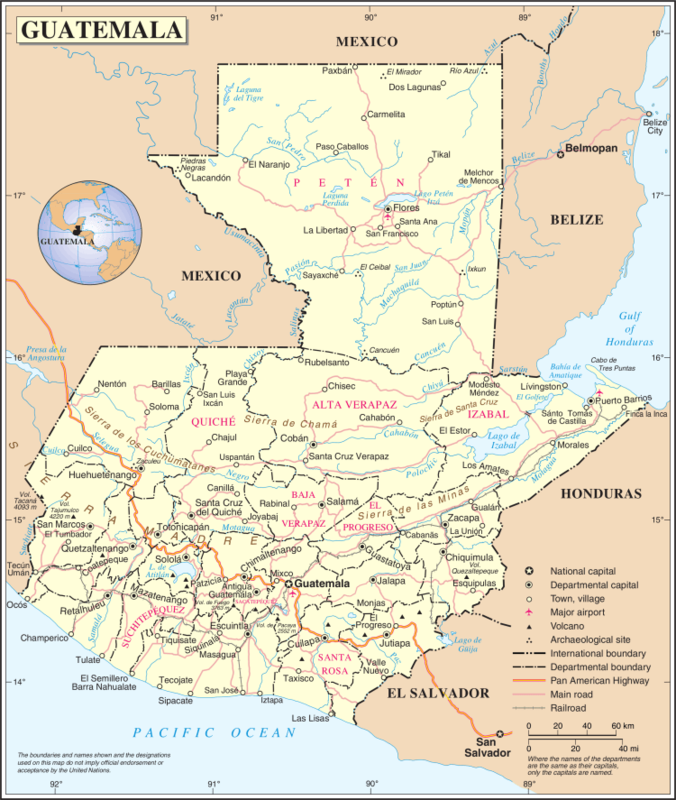 Guatemala is the most populous country in Central America. The name 'Guatemala' originates from a word meaning 'place of many trees'. There are 21 Mayan languages spoken in Guatemala. The country has the second-largest concentration of Ozone. Some of the active volcanoes in Guatemala include – Fuego, Pacaya and Santiaguito. Semuc Champey is one of the most stunning places we have ever seen! Absolutely amazing! Go to Antigua and hike Volcano Fuego or Pacaya, or hang out in the Colonial City. Cafes, excellent restaurants and parks everywhere. Tikal is our favorite Mayan Ruin in Central America. Do the Sunrise Tour. It's special... just special! Lake Atitlan is not only one of the most chill places in Guatemala, it's one of the most beautiful. You can get "lost" there and never want to leave. Our favorite pueblo was San Pedro. Stay out of Guatemala City except for transit. The place is just scary, but only place in Guatemala like this really. Chichicastenango "Chichi" has the weekend market where thousands of Mayans come to sell their wares. The food in Guatemala is nothing short of spectacular. The black beans and tortillas are unrivaled. The Guatemalan people are some of the best people we have met in all the world!